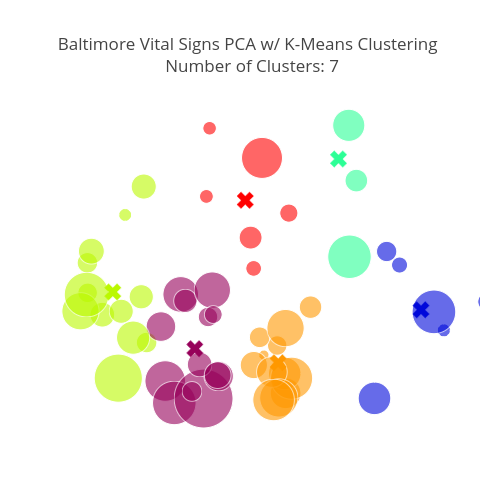 Jtelszasz's interactive graph and data of "Baltimore Vital Signs PCA w/ K-Means Clustering Number of Clusters: 7" is a scatter chart, showing vs . The x-axis shows values from -20.907951547527208 to 23.983481486688618. The y-axis shows values from -10.299632395472063 to 10.105564438262402.